It is no secret that Nita Ambani is quite fond of her daughter-in-law Shloka and she wanted to gift her something quite unique and special. Trust the Ambanis to show the world what is real grandeur and they never disappoint. 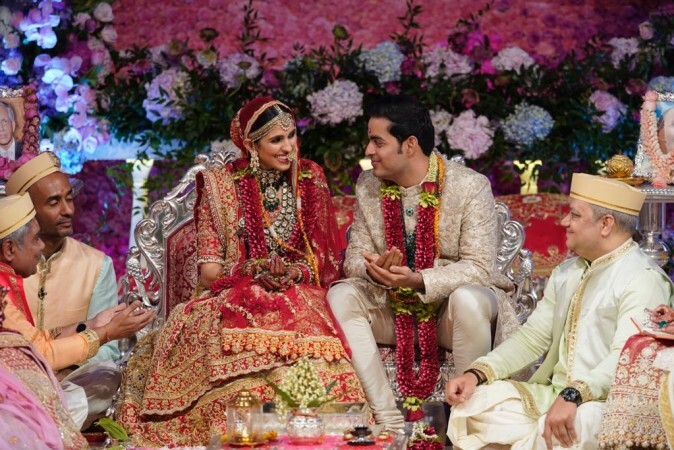 After a grand wedding ceremony of daughter Isha Ambani with the Piramal scion, the Ambanis hosted another opulent wedding ceremony for their son Akash Ambani and Shloka Mehta. Shloka Mehta is the youngest child of Russell and Mona Mehta, the owners of country's leading diamond company – Rosy Blue Diamonds. Shloka has been working as the director with Rosy Blue Foundation. Currently the company has presence in over 12 countries across the globe. Akash and Shloka have been childhood friends and we got to see the glimpse of their friendship through their playful banter at the wedding ceremony too. It is no secret that Nita Ambani is quite fond of her daughter-in-law Shloka and has always had just good things to say about her. As per a report in Woman's Era, the Ambanis decided to gift an exquisite diamond set to Shloka as a wedding present. Nita Ambani wanted to gift something quite unique and special to Shloka and thus decided on buying a beautiful set made from the most attractive diamonds. The diamond set is rumoured to be quite niche in its design and cut. Akash and Shloka's wedding saw the crème-de-la-crème of the society in full attendance. From southern superstar Rajinikanth to Bollywood's sheheshah, Amitabh Bachchan, the who's who of the industry were seen enjoying the wedding festivities in full fervour. Shloka and Akash Ambani's pre-wedding festivities too were a sight to behold. Their pre-wedding celebrations kick-started at St Moritz in Switzerland which is surrounded by the breath-taking Lake Moritz and beautiful landscapes covered in snow. What stood out was the enthralling musical performance by British rock band Coldplay and American DJ The Chainsmokers. Ranbir Kapoor, Alia Bhatt, Sachin Tendulkar, Yuvraj Singh, Karan Johar, Malaika Arora, Sonam Kapoor were some of the celebs who attended the gala event.